Love some steak and potatoes? 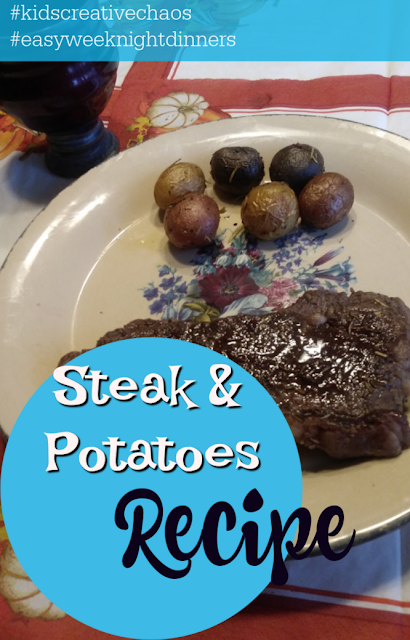 Generally, we enjoy our steak and potatoes cooked by a chef in a restaurant or over a grill in the summertime, but here's how to make steak and potatoes in a skillet on your stovetop. This earthy meal of steak and potatoes in a skillet is a perfect accompaniment to a roaring fire on a cold winter evening. Enjoy! This post contains affiliate links. When you click and make a purchase, I get a tiny commission. 1. Prepare spice blend in a small bowl and set aside. 2. Rub steaks liberally with spice blend on both sides. Allow meat to sit for 10 minutes. 3. Melt olive oil and butter in a skillet over medium-high heat. 4. Sear steaks in oil for 1-2 minutes. Turn over the meat and sear 1-2 minutes more. 5. Add red wine. Reduce heat and cover the skillet. Cook the meat until desired doneness. 6. Remove steaks and cover with foil. Continue to heat skillet contents until the sauce has thickened to desired consistency. 2. Add oil and potatoes to a baking dish. Cover with Herbs de Provence, salt, and pepper. 3. Bake in preheated oven for 30 minutes, or until tender. 4. Adjust seasoning to taste. 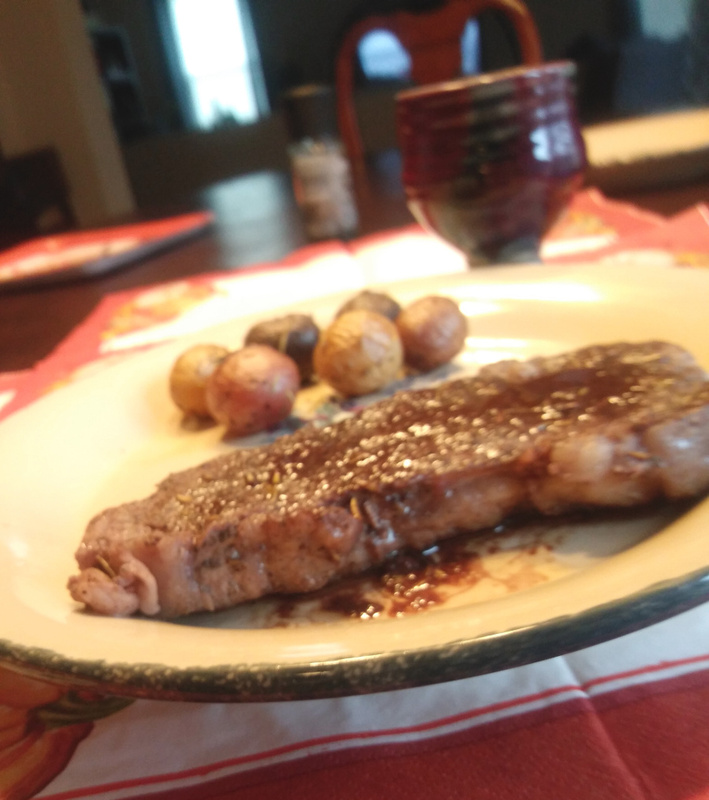 Do you have a favorite way on how to prepare steak and potatoes? Please share your recipes in the comments! We're always looking for delicious new recipes for easy weeknight dinners!